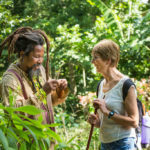 Tourism is the mainstay of the Jamaican economy, but the dominance of self-sufficient resort complexes means that there are limited opportunities for local people to benefit. Our aim is to encourage tourists to explore beyond their hotels so that they spread the economic benefits of their visit to local communities. 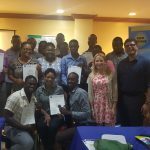 As part of our partnership with TUI Care Foundation we’re creating better links to tourism for local enterprises, improving local tourism products and inspiring tourists to spend money, with an initial focus on the Montego Bay area. 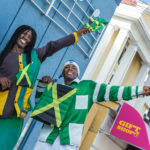 We aim to increase footfall in downtown Montego Bay, and visitor spend in the local economy. We supported the Rastafari Indigenous Village to create a visitor attraction suitable for international visitors.